Oh, oobee doo . . . everyone can be like zoo-oo!! Blackpool Zoo has launched a brand new series of animal experiences, which include some aimed at children and adults with additional needs. 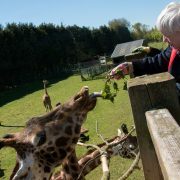 The half-day packages have been devised to ensure everyone can enjoy getting up close and personal with the really wild residents. ‘Wanna be’ keepers will shadow the zoo’s dedicated and caring staff in a thrilling three-hour session where they may mingle with monkeys, lounge with the lemurs and serve snacks to the pelicans and penguins. The Junior Keeper Experience is available to children and young adults aged eight to 17, while the half-day experience is open to anyone over 18. The Assisted Keeper Experience will be a unique programme devised by the zoo’s Animal Experience Co-ordinator, Connor Blackburn following a personal consultation. And, as the 23-year-old keeper took part in the zoo’s first ever Zoo Keeper Academy eight-years ago, he is the perfect man for the job. He said: “I have been passionate about animals all my life and always wanted to be a zoo keeper. “The Zoo Keeper Academy cemented my passion for the job and I worked at the zoo in almost every department, from catering to admissions, in the years following while I completed my studies. “I have just finished my Diploma in the Management of Zoo and Aquarium Animals and was delighted to learn I have been selected for the role of Animal Experience Coordinator. “The Junior Keeper Experience is the perfect introduction for anyone considering a vocation with animals and the Half Day programme has been launched as a shortened alternative to our full day offering. Each experience is different and visitors could be working with – tortoises, giraffes, anteaters, tapirs, aardvarks, lemurs, lorikeets, spider monkeys, otters, farm animals, reindeer, pelicans or penguins. Please be aware – the half-day experiences do not include any activities with tigers, lions, orangutans, gorillas, elephants or sea lions. http://www.the-educator.org/wp-content/uploads/image1-3-1030x686.png 0 0 admin http://www.the-educator.org/wp-content/uploads/image1-3-1030x686.png admin2017-07-27 12:18:402017-07-27 12:18:40Oh, oobee doo . . . everyone can be like zoo-oo!! The Executive Dean of King’s College London’s new business school has been announced as Professor Stephen Bach. The appointment will see him leading the creation of the King’s Business School which will become the ninth faculty at the university from next month. As the current Head of the highly regarded School of Management & Business at King’s, Stephen’s leadership has been instrumental in making this vision of transforming the school into reality. Stephen began his career in NHS management and then undertook his MSc and PhD at the University of Warwick. He has held visiting positions at Cornell University and spent more than a decade at Warwick Business School. His research interests include comparative public service employment relations, the international migration of health professionals and the growth of interim management roles in public services. He has led several EU-funded research projects on the consequences of austerity and the role of service users in shaping human resource management practice. Professor Bach has acted as an advisor to the International Labour Office, Migration Advisory Committee, Organisation for Economic Co-operation and Development, Scottish Office and the World Health Organisation. He joined King’s in 2000. 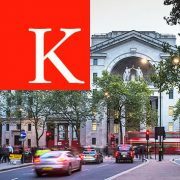 King’s Business School will be based at Bush House, Aldwych (the former headquarters of the BBC World Service) and will be a standalone faculty which complements King’s portfolio of law, medicine, policy and social science. Professor Bach said: ‘I am thrilled to be appointed as the inaugural Executive Dean. 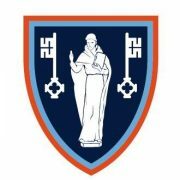 The School will combine the agility of a start-up with the heritage of King’s. We will build upon the success of the success of our thriving School of Management and Business and aim to build the premier undergraduate business school in conjunction with specialist masters programmes. 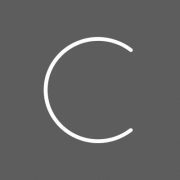 CYPHER LEARNING, specialist provider of learning platforms for organizations around the world, has announced a major upgrade to the ‘Learning Paths’ feature of NEO, its learning management system (LMS) for schools and universities. Learning paths, usually comprised of a set of related classes, are a set of goals that a student must accomplish to master a subject or skill. Due to this, they are used by schools and universities to motivate students to achieve goals. Learning Paths were already a powerful feature and differentiator for NEO LMS because of its innovative set of options such as gamification and automation. With automation, teachers can define actions that occur when the path is completed, such as awarding certificates, sending custom messages, and more. Gamification introduces a fun, competitive spirit that allows students to gather points and badges as they advance through the classes in learning paths. For more details about CYPHER LEARNING products and the Learning Paths feature, please visit www.cypherlearning.com and www.neolms.com or contact info@cypherlearning.com. Finding the funds for repair or replacement can be a daunting challenge for schools suddenly faced with a heating system breakdown, so when it does come to deciding on an alternative system, energy efficiency and ROI should be top of the agenda to ensure any money saved can be spent elsewhere on site. Legacy boilers can be costly to repair and often, if restored, are unable to deliver the expected energy efficiency of today’s schools. 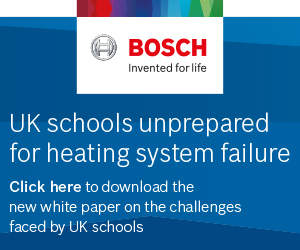 Therefore, when a school’s heating system breaks down, generally, the most straightforward solution is to replace any inefficient boilers with modern, efficient alternatives. Even though many older systems operate at temperatures of 82°C flow and 71°C return, condensing boilers can be made to work efficiently for educational buildings through the use of weather compensation and effective control. Consideration can also be given to the possibility of rebalancing the system to 80°C flow and 60°C return for further savings. With energy efficiency a top priority, schools should be turning to boilers which can automatically modulate their output down to as little as 20 per cent in order to precisely match the demand for heat, helping to reduce fuel consumption and improve overall seasonal efficiency. This is ideal for periods like the summer holidays where there may only be limited demand for heating and hot water. For schools planning development to include further facilities, a cascade system can also help to future proof a school to cater for increased heating demand. With some of the UK’s school buildings dating back to the sixth century however, it’s no wonder that some of these buildings are struggling to cope with the use demanded of them. Heritage school buildings, despite their beauty, come at a cost and present certain challenges when trying to incorporate modern energy efficient technologies. Their ageing infrastructure means installers are often welcomed with narrow plant rooms, and old pipework to contend with when trying to install new boilers. However, concerns with mixing the old with the new shouldn’t stop schools from replacing their heating system with a more efficient alternative. Fortunately, the modern condensing boiler is also the perfect fit despite these restrictions. Bosch Commercial and Industrial’s GB162 boiler for example has compact dimensions when cascaded in systems up to 800kW, which make it especially suitable for plant rooms which are difficult to access and restricted in space. This in turn reduces installation time so there is minimal disruption to staff and pupils. Integrating new boilers with pre-existing pipework can affect the operation and efficiency of any new heating appliances, but this can be easily avoided with the addition of a plate heat exchanger. This provides two elements of protection by separating old and new systems allowing them to work efficiently together. With schools roughly shut for 12 weeks throughout the year, it can be difficult for school leaders to ensure they have a heating system in place that caters for fluctuating demand for hot water while a school is open and a significant drop in demand outside of term time. For example, showers for PE lessons and after-school sport, along with the wash-down of kitchen equipment, plates and cutlery after lunch, can cause dramatic peaks in the amount of hot water required. This rise and fall in demand can take its toll on older heating systems, which can struggle to cope and bring costs through the roof. A continuous flow hot water system is ideal for coping with these peaks in demand, providing instantaneous hot water at a set temperature to ensure regulations are adhered to and only using energy when hot water is required to maximise efficiency. Providing heating and hot water via two separate systems will ensure than any peaks in demand for hot water can be easily catered for. This continuous supply of hot water is perfect for schools with cafeterias, bathrooms and changing rooms with showers that can all demand hot water at the same time. What’s more, the instantaneous water heating technology frees the need for a storage cylinder, which saves space, reduces energy loss, and lowers the risk of Legionella contamination. The condensing technology also allows for greater energy efficiency of up to 105% resulting in significant energy savings. The water heaters can be installed as single units or in a cascade of up to 12 units to provide a combined flow rate of up to 247 ltrs/min. This makes it ideal for schools which can have surges in demand for domestic hot water depending on the occupancy of the building. With energy saving a major objective for schools and pressure on budgets increasing, condensing boilers and a continuous flow hot water system could be the ultimate partnership to ensure a school can cater to demand, enhance its energy efficiency credentials and ultimately, stay open whilst improving the learning environment for students and staff. For more information on Bosch Commercial and Industrial and its dedicated offering for the education sector, visit www.bosch-industrial.co.uk. Alternatively, follow Bosch Commercial and Industrial on Twitter (@BoschHeating_UK) and LinkedIn (Bosch Commercial and Industrial UK). Available at no cost to schools, the Generation Beyond programme includes an online space curriculum for teachers and families, with digital resources such as lesson plans, educator guides and family activities. The dynamic content will introduce a wide variety of STEM-focused careers in space exploration, compare and contrast differences between life in space and on Earth, and illustrate the challenges of a future Mars mission. 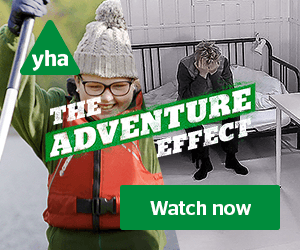 The UK Generation Beyond Video Challenge opens today – 14th July 2017 – and closes on 15th December 2017. Schools should visit www.generationbeyondinschool.co.uk/challenge to enter. Primary school pupils across England and Wales will benefit from a new teaching initiative that aims to encourage youngsters to take an interest in science and the natural world around them. Subsea Channel is a set of resources that aim to capture the interest and imagination of primary pupils in science subjects, supporting teachers to deliver the science curriculum in a way that makes it relevant and accessible to more young people. Developed by industry body Subsea UK, in partnership with teachers from North Tyneside Learning Trust (NTLT) Subsea Channel will be available to access by teachers across England and Wales from today (Wednesday 12th July). 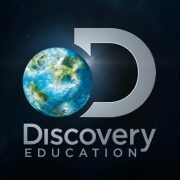 Aligned to the National Curriculum, this addition to the Subsea Channel suite of resources will provide teachers with lesson plans and videos that bring to life the real-life applications of the scientific principles they teach. The resource is made up of five topics: Marine Biology, Surveying the Seabed, Vessels, Diving, ROVs (remotely operated vehicles) and Robotics. The lesson plans have been developed to enable teachers to deliver the lessons in sequence, as a scheme of work or as individual programmes. Each come with teaching notes, information sheets and videos. 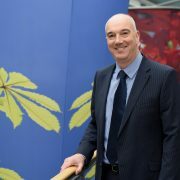 Neil Gordon, chief executive of Subsea UK said: “The industry’s continued success is, to a large extent, dependent on having the scientists and engineers who will meet the ongoing and future technological needs of the UK subsea sector. In order to inspire the next generation, we must start that learning journey as early as possible, given that research shows that primary school is the best place to start nurturing an interest in science and technology. The challenge therefore is to capture young people’s imagination and interest before they make those important subject choices. Prior to developing the resources, Subsea UK asked teachers what would help them to deliver the science curriculum more effectively. Their feedback included: putting science into context, showing how it solves real world problems, captures children’s imagination and material that is flexible enough to incorporate easily into schemes of work. Subsea UK therefore set about working with teachers to develop materials that combined examples of the fascinating environments, technologies and equipment the industry experiences everyday with the scientific principles and concepts that underpin them and that teachers are required to explain. Hannah Osueke, science and STEM leader at King Edward Primary School in North Tyneside, said: “As a science leader I was very excited about developing the resources as they provide children with an opportunity to develop their understanding of scientific concepts in a real-life context. The resources enable teachers to use examples from industry to explain key scientific principles in a clear and meaningful way and in doing so capture interest of children and stimulate their imagination. The resource is free and available to all schools throughout England, Scotland and Wales and can be accessed via a dedicated page on the Subsea UK website. 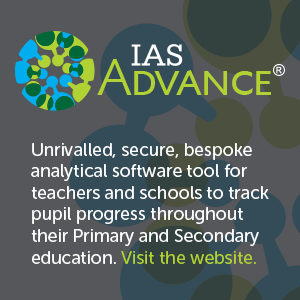 Teachers will be asked to register by providing their details, which will also allow Subsea UK to inform them of any updates, send on additional materials and gather feedback. Do you have what it takes to win a Best of Britain Award? 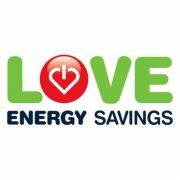 Business energy comparison specialists, Love Energy Savings, are on a mission to recognise the best businesses in Britain. They’ve partnered with EDF Energy, Opus Energy, British Gas, Scottish Power and npower to discover businesses across the country who are going above and beyond and deserve to be recognised for their outstanding services and overall business ethos. There will be a winner for each region in the UK, the awards are completely free to enter and there’s £300 prize money available for each winner to spend how they wish. 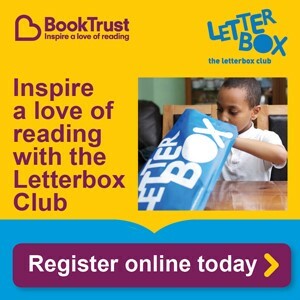 You can submit your entry and find out more details here. Have you gone the extra mile recently – do you truly believe your business stands out from the crowd? Perhaps you know of another business that is doing amazing things, then why not put them, or yourself, forward for the 2017 Best of Britain Awards? Nominations are open until Monday 25th July so there’s plenty of time to put a business forward and have its achievements recognised. http://www.the-educator.org/wp-content/uploads/image1-3-1030x686.png 0 0 admin http://www.the-educator.org/wp-content/uploads/image1-3-1030x686.png admin2017-07-13 09:21:412017-07-13 09:21:41Do you have what it takes to win a Best of Britain Award? Forest Park Preparatory School rejoice, as they are crowned winners of LEGOLAND® Discovery Centre’s #MyMINILANDSchool Search! 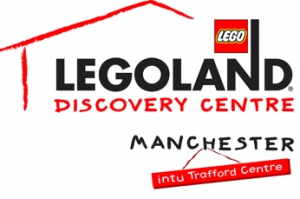 LEGOLAND® Discovery Centre Manchester is proud to announce that Forest Park Preparatory School in Sale, Greater Manchester, is the winner of the attraction’s #MyMINILANDSchool competition. The school and all its pupils and teachers will be immortalised in LEGO® and will join the attraction’s MINILAND® display; a re-creation of landmark locations and buildings throughout the North West, made out of more than 1.5 million LEGO® bricks! 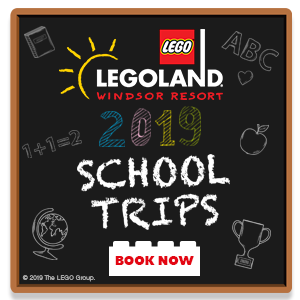 The winning school will also receive their logo made entirely out of LEGO®, Kids Go Free vouchers for all pupils and a box of LEGO® for to enjoy. Forest Park took part in LEGOLAND® Discovery Centre Manchester’s #MyMINILANDSchool campaign, which saw students across the North West, along with the help of their teachers, being asked to sketch a picture of their school, for the chance to win their place in the attraction’s MINILAND® display. On Thursday 13 July, winning pupils from Forest Park will help start the build of their school in LEGOLAND® Discovery Centre’s all-new Creative Workshop – with the one and only resident Master Model Builder, Alex! The final brick will be added at the school’s grounds on the last day of term (Tuesday, 18 July) before making its way back to the ultimate indoor LEGO® playground to be displayed in MINILAND, just in time for the school holidays! “We would like to sincerely thank all the teachers and students who entered into this year’s competition, we had some brilliant entries! With more that 3 million LEGO® bricks, the interactive attraction is bigger and better than before, with even more fun to be had for all the family; plus there’s three LEGO® Rides (Kingdom Quest, Merlin’s Apprentice and LEGO® City: Forrest Pursuit) MINILAND®, City Builder, LEGO® Studios – 4D Cinema, DUPLO® Farm, Factory Tour and a LEGO® Shop. 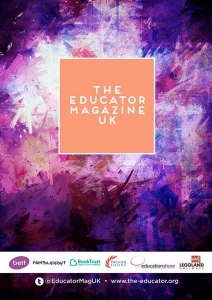 http://www.the-educator.org/wp-content/uploads/image1-3-1030x686.png 0 0 admin http://www.the-educator.org/wp-content/uploads/image1-3-1030x686.png admin2017-07-10 11:42:152017-07-10 11:42:15Forest Park Preparatory School rejoice, as they are crowned winners of LEGOLAND® Discovery Centre’s #MyMINILANDSchool Search! Key features of the trains include air-conditioning, walk-through carriages, wheelchair spaces and CCTV for passenger security. Design students from East London have helped create a new advertising campaign that has been launched on board Transport for London’s (TfL’s) new Elizabeth line trains to explain to customers the benefits they will enjoy while on-board. Students from Barking & Dagenham College and Redbridge College, which are close to the TfL Rail line where the new trains will initially run, were picked to create the designs. 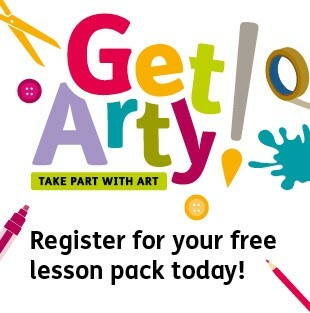 The artwork selected, by Hayden Shields, Egle Lenceviciute and Jesse Thraves from Redbridge College, and Jelizaveta Sergejeva and Inga Tenyte from Barking & Dagenham College, comprises five posters. Each reflects the individual artistic style of the students, and brings the benefits of the Elizabeth line to life. These include walk-through carriages, improved accessibility, CCTV and air-conditioning. The trains also feature three sets of double doors along each carriage for quicker and easier boarding and alighting and improved travel information for passengers to plan their onward journeys. Eleven of 66 new trains will be introduced on the route by the autumn and will initially be 160 metres long and made up of seven carriages. They will later be extended to nine carriages and the full length of 200 metres to carry up to 1,500 people. The trains will begin running through central London when the tunnels open in December 2018 and the Elizabeth line opens, transforming travel across the city. The campaign will progress as London’s newest railway opens in stages, with the next key moment coming in May 2018 when TfL takes over Heathrow Connect services between Paddington and Heathrow. Students from colleges along this section of the route will be asked to create artwork for this phase of the launch. 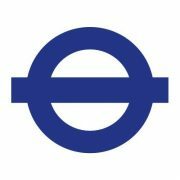 The Elizabeth line will transform travel across the city, providing for London’s growing population by reducing journey times and serving the West End, The City and Docklands. When fully open it will run from Reading and Heathrow in the west across to Shenfield and Abbey Wood in the east. When the route is fully completed in December 2019, the trains will carry 200 million passengers a year, bringing an extra 1.5 million people to within 45 minutes of central London. 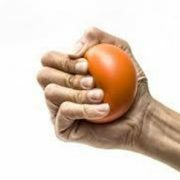 St Swithun’s School Winchester is hosting a conference for secondary school teachers and pastoral staff, called Getting to GRIP with resilience on Tuesday 3 October 2017. The event is being run in partnership with the mental health charity Place2Be. 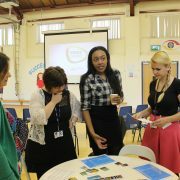 The event brings together experts and specialists from schools and charities for a day of workshops, speeches and presentations. It will focus on promoting good mental health in the classroom and exploring well-being strategies for young people. 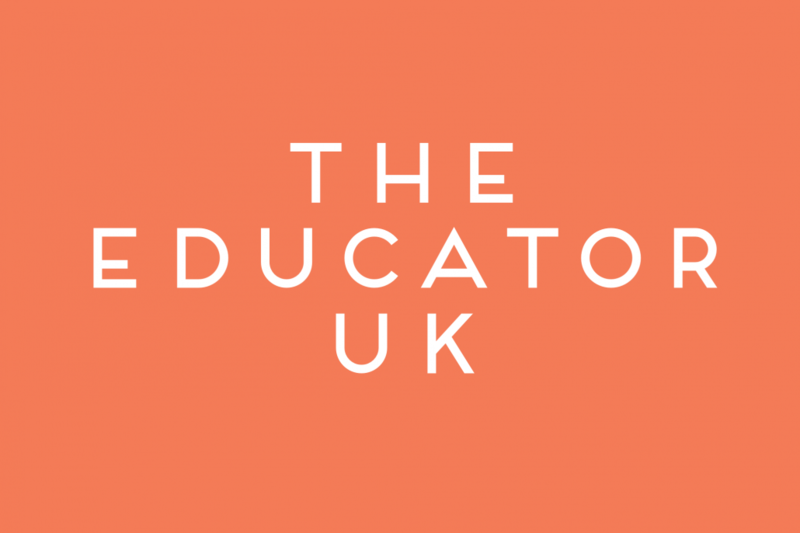 Key note speakers include Dr Sue Roffey from Growing Great Schools, Emma Judge from How to Thrive and Dr Ann Hagell from the Association for Young People’s Health. During the afternoon workshops, participants will be able to investigate further topics raised in the morning’s speeches. Workshop themes include developing the mentally healthy classroom and how do teachers get wellbeing right? – the pupils’ perspective. The GRIP conference will be held at St Swithun’s School, Alresford Road, Winchester, SO21 1HA. Booking is available at www.stswithuns.com/forthcoming-events.